What Does a Delegate do? Delegates are the officials of the WCA, and they are responsible for ensuring the WCA Regulations are followed during the competition. They also handle incidents and are responsible for scrambles and results. If you ever have any doubts or questions, they should be your first choice for asking. Below you can find your local delegates in Oregon and Washington! Unfortunately, all other PNW states do not have a delegate, however these guys are willing to travel under the right circumstances! If you are interesting in organizing your own competition, feel free to contact one or multiple of your local delegates letting them know of your interest. Chris was the organizer of some of Oregon's first competitions in 2015! This, along with Kit moving to the PNW, sparked a huge interest in cubing throughout the Northwest. Chris has attended over 30 competitions and continues to attend whatever he can! His main focus is big cubes, and is an avid proponent of the Hoya Method. Chris is originally from Pennsylvania. There he was a DJ and organizer for the local EDM scene, and has a passion for house music. Along with cubing, Chris recently became interested in chess and following the games of top players. Jason is one of the newest delegates in the PNW and is located in Corvallis, OR. Originally from Banks, OR he is now in his fourth year at Oregon State University studying Mechanical Engineering and Mathematics. Jason is the only cuber to have ever successfully completed two Means in 5BLD in the same competition. 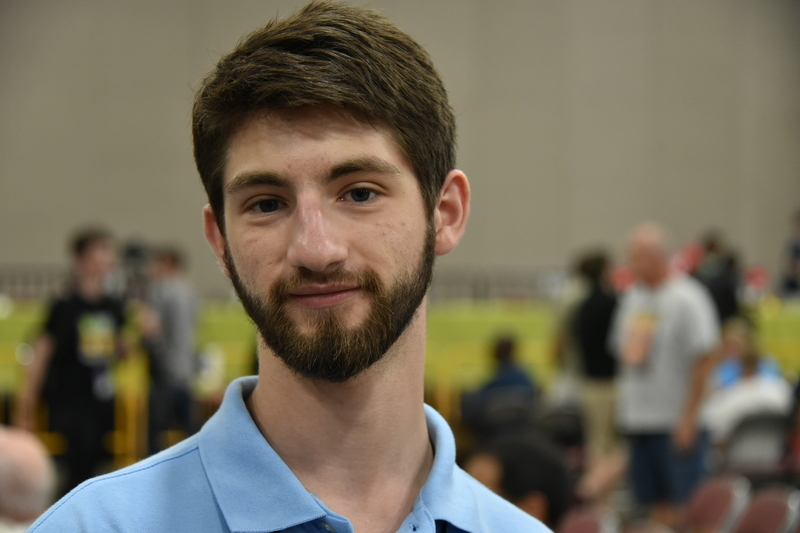 Not only does he have an impressive success rate in 5BLD, but he also enjoys all WCA events, although he definitely leans more toward the blindfolded events. He is president of the OSU Cubing Society and enjoys watching movies in his free time! His favorite movie is The Dark Knight. Kit is the Senior Delegate overlooking all of the USA and Canada. He is arguably one of the best delegates in the WCA and we are extremely luck to have him up here! Kit has attended over 120 competitions and does not plan on stopping. He is also currently the director of CubingUSA. While originally from Michigan, Kit moved to Oregon for Graduate school and currently teaches Statistics at Portland State University. 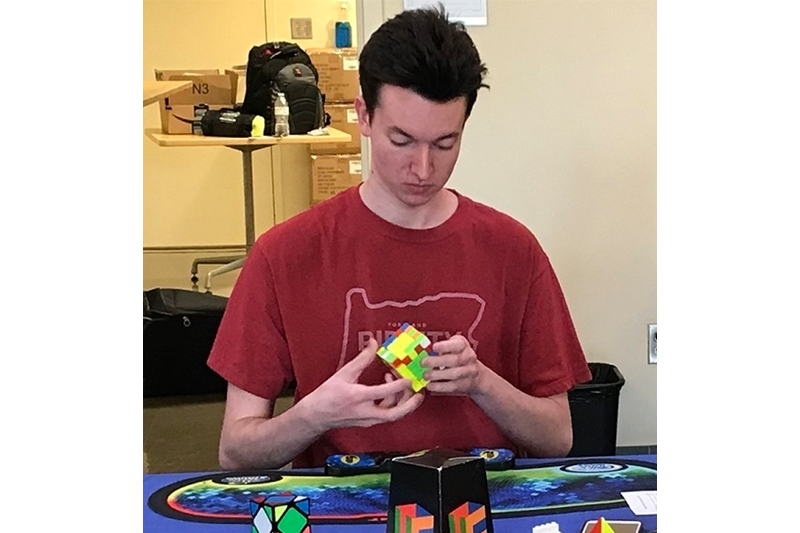 He is a huge reason we have such a large cubing community in the PNW. Kit's favorite event is FMC and he recently placed 2nd place at US Nationals 2018 with a mean of 26.67. Originally from Vancouver, BC, Kevin became a delegate during his time studying at UCLA in Los Angeles, California. After receiving his Masters in Mathematics, he moved back up to Canada! Kevin is currently Ranked 2nd in MBLD and 3rd in 4/5BLD in Canada. Be sure to keep an eye out for the way he films his solves - he has a pretty clever camera stand. Kris has been a delegate since March of 2011. He has attended 50 competitions and has been a huge part of the Vancouver, BC cubing scene, delegating most of the competitions there. He also delegated the first ever Puget Sound competition in 2015! Kris held the 5x5 World Record single of 52.65 in 2012, one of his most proud achievements. Along with cubing, Kris also takes part in speed running video games and playing Super Smash Bros Melee competitively. Caleb looks over all competitions in Eastern Washington. He has attended 30+ competitions and continues to regularly delegate all Richland, Yakima Valley, and Spokane competitions. You'll almost always see Caleb helping out by running before you'll see him judging or scrambling! Daniel became a delegate in 2015 and has delegated many Puget Sound competitions throughout his time as a delegate. Daniel currently works for Microsoft as a Research Hardware Design Engineer. In 2007, he placed 1st in FMC at US Open 2007 with a result of 39. Daniel has been cubing since 2005!!!! That's insane! Throughout his 35+ competitions, he has had many different experiences due to the major regulation changes that have happened since 2005. If you ever see him at a competition, he will most likely be doing all of his official solves while standing! Matthew is originally from Los Angeles, but moved to Tacoma, WA just after graduating from University of Puget Sound in May of 2018. He received a Bachelor's Degree in Mathematics and Business and is currently working as an Underwriter at Kaiser Permanente. Matthew has been the sole organizer of all the Puget Sound competitions and also makes YouTube videos under the name "tehcubedude." Matthew became a delegate in February of 2018 and as of March 2019, he is also the Region Lead for the entire Pacific Northwest. Matthew is colorblind and just recently learned that peanut butter is NOT green! He also has a collection of over 800 twisty puzzles!